With a great number of still photographers also doing video projects on the side, having a bright and reliable monitor attachment as part of their gear setup has also become paramount. Keeping up with the challenging needs of these creatives, SmallHD has recently launched the 502 Bright Daylight Viewable 5″ Monitor, a more compact version of the larger 702 Bright Full HD Field Monitor. With 1920 x 1080 resolution, 1000 nits bright, and 441 pixels per inch, the 502 Bright promises to be a compact daylight viewable monitor that perfectly pairs with gimbal setups. 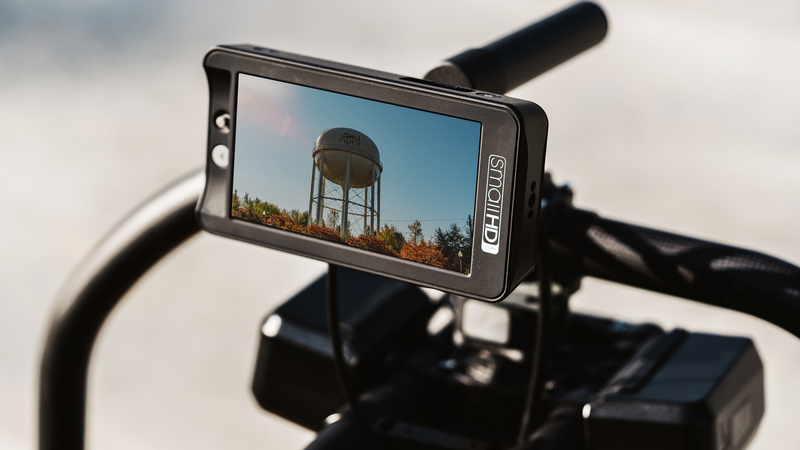 As with the rest of SmallHD monitors, the 502 Bright is made of durable milled aluminum frame and Gorilla Glass protective screen. This rugged build makes it suitable for filming all kinds of video projects and working in different shooting locations. The 502 Bright is priced at $1299 and is now available at the SmallHD website and authorized dealers. SmallHD introduces the 502 Bright daylight viewable on-camera 5-inch monitor. The 1,000nit display incorporates the extensive feature set of the 500 Series monitors, while raising the bar on view-ability in direct sunlight. The 502 Bright displays 100% of Rec. 709 color gamut. The 1920×1080 resolution LCD screen provides full high-definition viewing. It utilizes SmallHD’s latest software, version OS3, which provides false color and waveform tools. The unit also features is a new battery meter and the ability to adjust color computer-free with the SmallHD Color Probe. For those who prefer to use waveform to compose an image, OS3 features spot metering to an already extremely customizable waveform. The spot meter indicates the exposure level of a particular area of an image without the psychedelic appearance false color can create. It is particularly useful for exposing faces. Consistent with other SmallHD monitors, the unit is extremely rugged thanks to a milled aluminum frame and a Gorilla Glass protective screen. The 502 Bright has both HDMI and SDI inputs and outputs, with lightning fast cross conversion between the two video formats. The new 502 Bright weighs just 9.4oz (267.5g), and is 6.4″W x 3.4″H x 1.1″D (16.2 x 8.6 x 2.8 cm). Deliveries begin in February 2018 with an MSRP of $1299.